Swatting got someone killed last week. It’s an unpleasant topic and one we spend the first part of the show yammering about anything and everything to avoid it. But, as former GamePolitics writers, we felt we needed to discuss it. 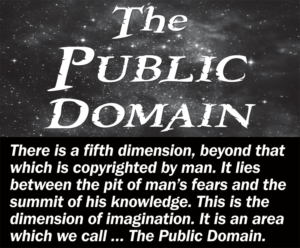 January 1st of each year is what is colloquially referred to as Public Domain Day. It is the day that works enter the public domain after their copyright terms have expired. At least in most countries outside the US. The US has gone decades without anything entering the public domain, but thankfully, 2018 will be the last year this is so. Unless Congress succumbs to the whims of the Motion Picture Industry and extends copyright again. Every year, the Duke Law School publishes a report about the state of the public domain on January 1st and this year is no exception. This is what Duke had to say about the US. What is entering the public domain in the United States? Not a single published work. Once again, no published works are entering our public domain this year.2 (Happily, works published in 1923 will finally begin to enter our public domain next year.) 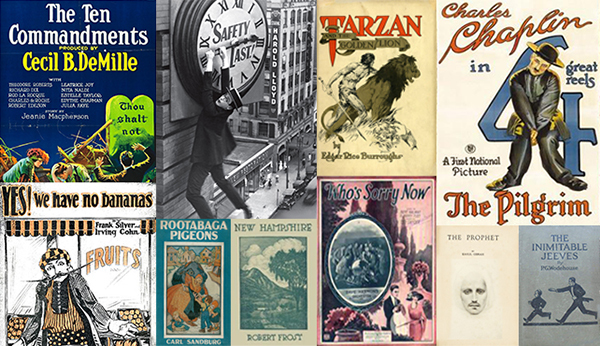 The only works that are clearly in the US public domain now are those published before 1923. But what about works published after that date? Does that mean that they’re still under copyright? Well, maybe. Citizens of the United States have to live with a frustrating lack of clarity about what older works they can use. Did the author comply with registration or renewal requirements when those were mandatory?3 The records are fragmentary and confused, the copyright holders hard to find. Perhaps some post-1923 works by the authors above are in the public domain. Perhaps they are still copyrighted. We have to live in a fog of uncertainty, uncertainty that benefits no one. By contrast, in Canada and the EU, the public will know on January 1 that all works by these authors are in the public domain. This week, Nintendo made a reasonable localization decision. I know, we were surprised too! This week’s episode of Molehill Mountain is chock full of political goodness. Or badness. 25:33 – What does a tariff on imported goods mean to gamers? 43:36 – What does getting rid of net neutrality mean to gamers? Happy Public Domain Day Everyone Outside The US! For all of us in the United States, January 1st is just New Year’s day. The day the calendar ticks another year. But for people who live outside the US in Canada, Europe and elsewhere, January 1st means something else entirely. It means today is the day that new works enter the Public Domain. This is the day that more of our culture becomes free to distribute, free to build upon , and free to do whatever we want with. Yet, because of terrible copyright laws in the US, we miss out on all this.